Since its founding in 1989 , Akasaka Yu Gallery has hold unique feature and private exhibitions of Japanese contemporary arts and crafts. 游(Yu) originally means floating on the water , never being inflexible , and now it also means playing. We want to introduce a breath of fresh air to the shore of the art world without being stereotypical or shackled by convention , but with a bit of playfulness . So this gallery was named 游(Yu). Hayashi earned a bachelor’s degree in economics from Aoyama Gakuin University. 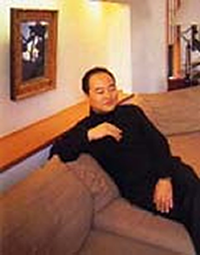 He founded Akasaka Yu Gallery in 1987. Prior to 1987, he worked at Seibu department store as an art buyer and Takanawa Art Co., Ltd.
as a General Manager of Arts and Crafts department. He has produced many fine works of contemporary craft artists in Japan. He has also produced , edited and written some books, and designed art columns of some lifestyle magazines .